I've been holding off for months on making an extra large smoothing broach for barrel caps. 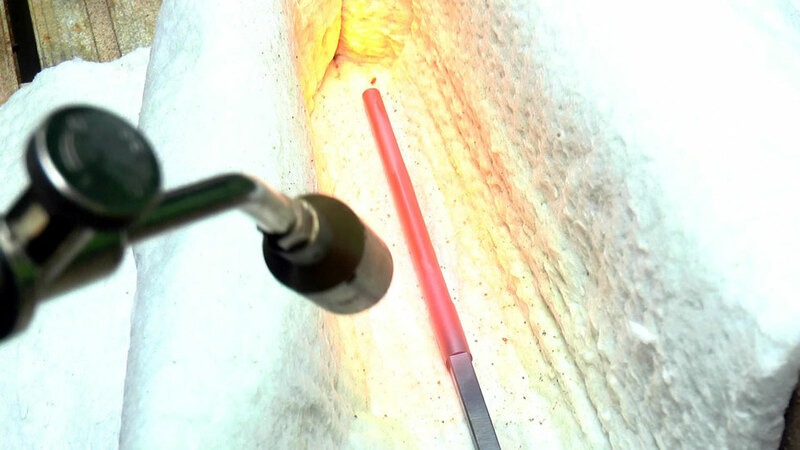 The main cause for hesitation was the heat treating process was not going to be easy. My little propane torch is perfect for 99% of what I do. Unfortunately this long thin shape is not ideal for getting a good uniform heat, so I was rather inclined to purchase one instead. There was a time when you could buy these larger smoothing broaches from Meadows and Passmore, but it looks like they will no longer be stocking them. They still carry the smaller sizes, but perhaps the manufacturer doesn't sell enough of the larger ones to make them worthwhile? Anyway that settled it. I had to make my own. 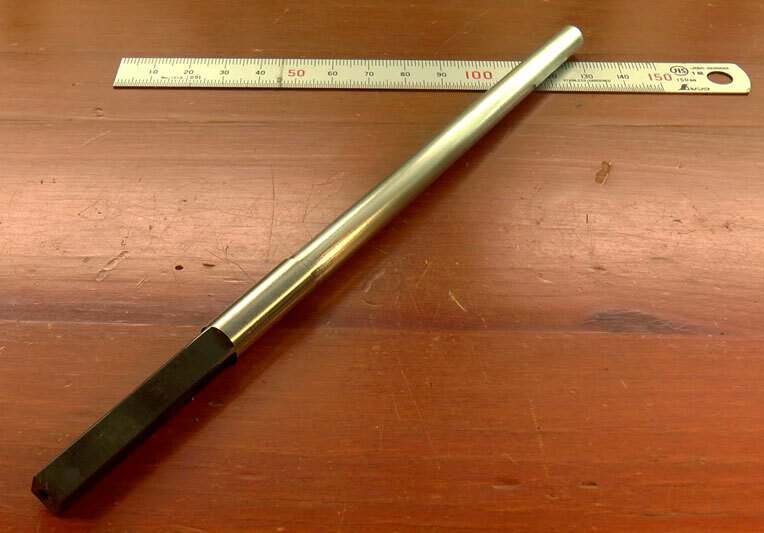 It may not be clear from the image above, but the tool is slightly tapered toward the tip; major diameter of 8.6mm tapering down to 7.6mm over 130mm. There is a short cylindrical section adjacent to the thicker end, and then the tang. It is made from 3/8" drill rod. Turning and shaping was fairly straight forward. The taper was formed by offsetting the tailstock the appropriate amount. Not my favorite way of turning a taper because of the need to reset the tailstock later, but unavoidable in this case because of the length to be cut. The tang was formed on the mill using the little square ER32 collet block for basic indexing. The heat treating problem I solved by buying a small square of Kao wool (ceramic wool) on Ebay, and then making a little box with it around the part. It reflects the heat back onto the part, and makes the heat transfer process much more efficient. A small propane torch like mine it's still not ideal, but it was good enough to get the job done. The entire working length of the broach came out glass hard. There was a little distortion from the quench, but because of the way the tool is used, it wont be an issue. Once tempered to light straw, I polished off the scale with 600 grit emery, and then grained it longitudinally with 120 grit to 'make' the surface for burnishing. Smoothing broaches are used during the process of opening up pivot holes. This particular one is needed for the larger barrel arbor shoulders on a going barrel movement. The barrel cap holes need to be broached open to fit the barrel arbor, using a 5 sided cutting broach. Once the hole is very near to size, this smoothing broach is then rotated in the hole by hand, to burnish the inner hole surface. It work hardens the brass and smooths the hole surface, reducing surface friction and increasing the hole's wear life. The process also eases the hole open just that little bit more to permit the arbor to enter the hole with minimal side play. 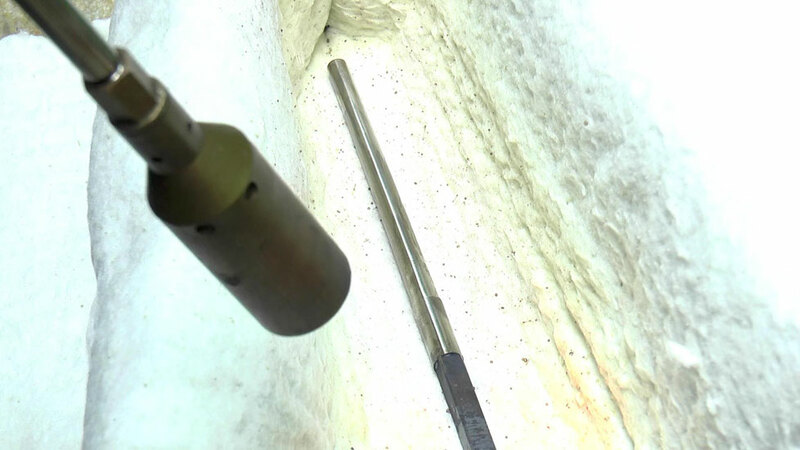 Broaching holes is a fascinating aspect of horology that has no real equivalent in the rest of the engineering world. To the non-initiated, It looks a like a crude and haphazard way to make a hole for a precision instrument! Yet it is an incredibly precise and effective technique, and has been considered horological best practice for hundreds of years. Why is this so? The key is in the fact that tapered broaching leaves a slight internal taper to the pivot hole. Plates twist under mainspring stress, and arbors flex, so the arbor pivots need to be able to tolerate a fair degree of axial misalignment. A tapered hole is a remarkably simple and effective way of providing that. You'll see this pop up in a future video on making the barrel arbor for the Large Wheel Skeleton Clock. Heat to red, and then quench. 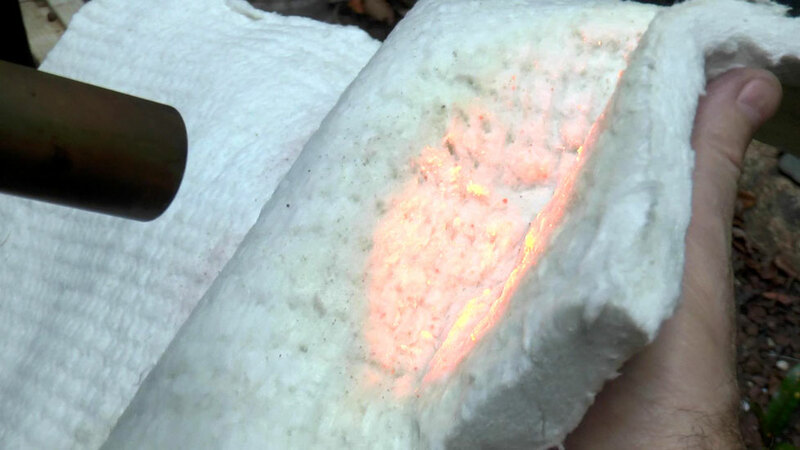 How awesome is ceramic wool?